On the 2nd and 4th I hit the gym for strength training and then met with friends for a run on the 7th at South Park. It was negative 6 degrees and clear. 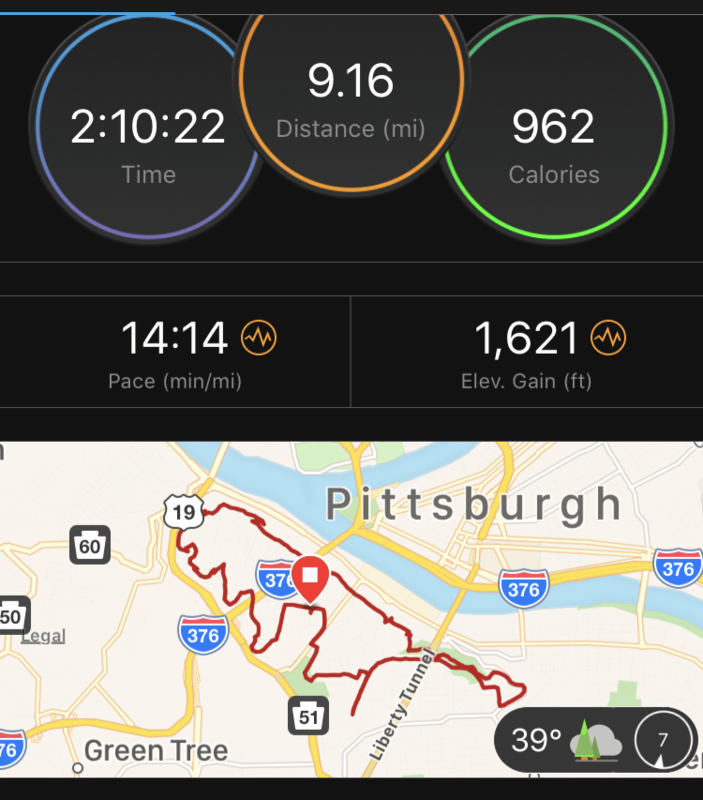 We ran close to 9 miles of beautiful snowy trails in that chill and convened on Spoonwood Brewing for some eats and drinks. Unknown to me this would be my last run until January 21st. The next day I woke up sick and stayed home from work. On the rare occasions I do get sick it usually passes in a few days tops. This took me over the coals for two weeks! 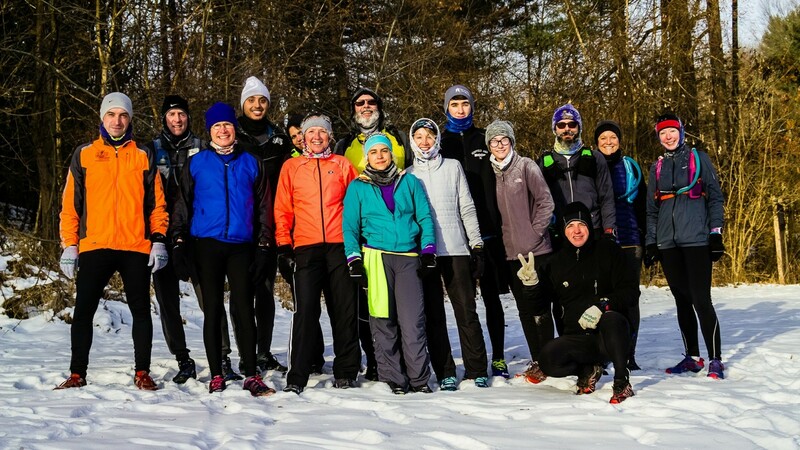 I met up with friends last Sunday, the 21st, simply needing to run. I still had a hacking cough, but I needed to move. Alyssa had prepared a route that would take us around Mt. Washington on trails and roads with our starting and ending point at Café Cravings on Virginia Ave. We covered 9 miles that morning in around 2 hours. Unlike the last time we ran a similar route, which was on New Year’s Eve, this time we had temperatures in the 40s. My water and Hammer Perpetuem wouldn’t freeze this time! While no land speed records were set on this day I felt good for getting out with friends. One of my favorite things about running is the opportunities that arise for exploring new places. Café Cravings is a great little spot. They have good coffee and a menu of considerable length and all of it is affordable. So after we finished the run we warmed up here for a few minutes before heading our separate ways to be responsible adults. The following day I ran an easy 4 miler to shake out the legs. I was sore and oddly enough I found I missed being sore after a good run! My next run wasn’t until the 27th! I was working on a landslide repair project in the hills of Ohio which meant long hours. When I finally had the chance to run on Saturday and it was 50 degrees out I certainly didn’t miss it. 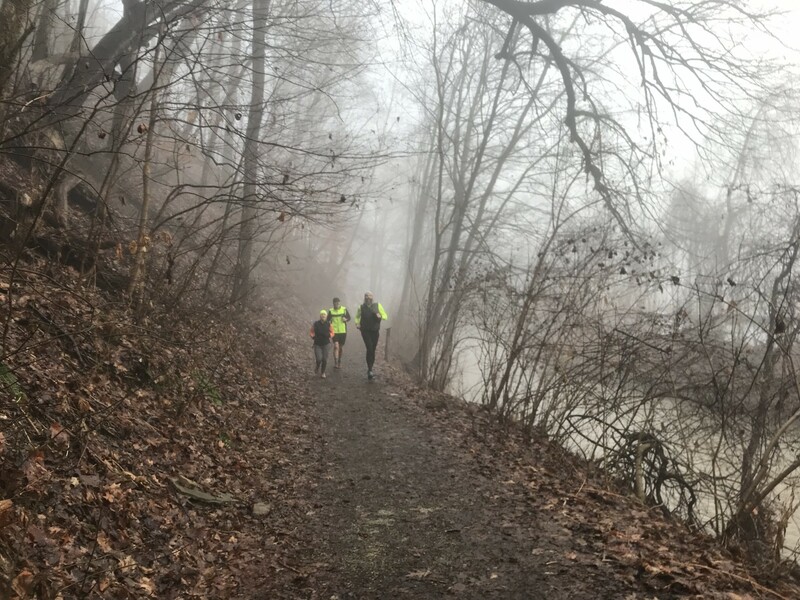 On Sunday I took the last long run of January taking friends over 14 miles of hill climbing fun at Duff Park in Murrysville. This little gem of a park is overlooked by many on account of it’s diminutive size, but the trails are stunning and the opportunity for hill climbing abounds. Over that 14 miles we racked up an impressive 2400 feet of elevation gain. If you are off to a rough start like I am this year don’t stress. There is plenty of time to get those miles in still! Talk to your coach or if , like me, you make your own training plans then a quick re-tooling of the plan may be in order. Diving in to week 5 of a training plan after missing most of weeks 1-4 is asking for trouble. I plan to take around a month to increase base mileage and get on track. If all goes well by the end of February I’ll be back on schedule. Take a long approach to build up to your goal training miles. Listen to your body and take an extra rest day when needed. As the saying goes, it’s better to arrive at the start line undertrained and healthy than overtrained and injured!